There was Sept. 11. 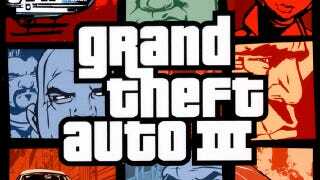 Then there was Oct. 22, when Grand Theft Auto III released, at a time when the United States was extremely high strung about things like the violence and moral relativism for which the series is known. Rockstar Games' Dan Houser, in a rare interview, said that the game did strip out some content as a concession to the tension of the current times. "I think one mission got removed," Houser told IGN. Also, "there was a non-interactive jumbo jet, just to give some life to the sky, that looked like it could pass through a building. That got adjusted, and a few lines of radio dialogue in the talk show. We were really very sensitive to stuff though because we'd watched on our doorstep, you know?" Further, the game's box art was redesigned partly because of 9/11. "There was an old box that you can still see online because it was the packaging in Europe. It was the same drawing style but done like an old movie poster with a blown up bridge and some police firing in the air and some helicopters and a bunch of the characters are different sizes," Houser said. "We thought, 'that's a bit heavy, actually, it doesn't really gel.'" So the artist came up with the windowpane montage "overnight," Houser said, the style that has marked Grand Theft Auto's packaging in the 10 years since. There's much more, covering aspect of the game's conception, the design team's ambition and yes, becoming the media's violent video game whipping boy, at the link.